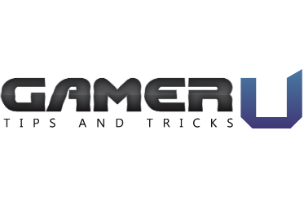 GamerU has officially launched its free website and app on Android devices, giving gamers a hub to view tips and tricks about popular games from their mobile device. The platform supports tips concerning console games, like Titanfall and Watch Dogs, as well as mobile titles, like Kim Kardashian: Hollywood, Angry Birds Epic and more. At launch, the platform supports more than 30 major games in English, Spanish, French and German, with more coming soon. The content shared on GamerU is controlled by the company, ensuring users are watching quality videos that contain the content they advertise. These videos are also presented without foul or offensive language, as well as “shenanigans” that aren’t regulated on a site like YouTube. When launching the app, users are shown a variety of featured games and content, and can search for games in the menu. Some mobile titles are listed alongside links to download the apps from their appropriate app stores, and gamers can share individual tips with friends via Facebook and/or Twitter. Each game page in GamerU contains different kinds of videos, depending on the game in question. For a mobile simulation game like Kim Kardashian: Hollywood, for instance, a video may provide tips on buying property, or may show off where to find hidden bundles of bonus experience points, energy and in-game currency. Meanwhile, a game like Titanfall may offer videos concerning specific weapon loadouts or character classes. Minecraft videos show new players tips on the tasks they should complete during each day and night cycle as they get started, Candy Crush Saga videos contain a look at how to complete levels within the game, and so on. For developers and publishers, the platform provides a new outlet to attract users to their games. Developers can choose to partner with GamerU and have their game added to the platform at no cost. Once they’re a partner, the GamerU content team goes to work creating videos for consumers to view. The GamerU app is available to download for free on Google Play. The app is similar to the Kamcord Let’s Play app, but instead of regulated content, Kamcord allows video uploads from all members.